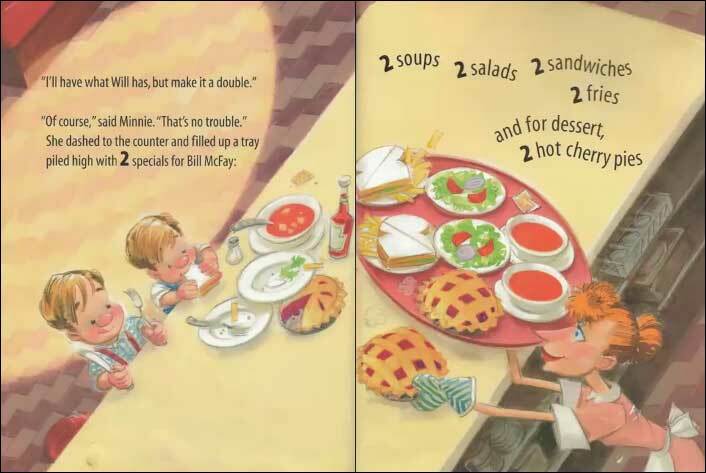 The McFay brothers don't want to do their chores, so one by one, they sneak over to Minnie's Diner to eat. 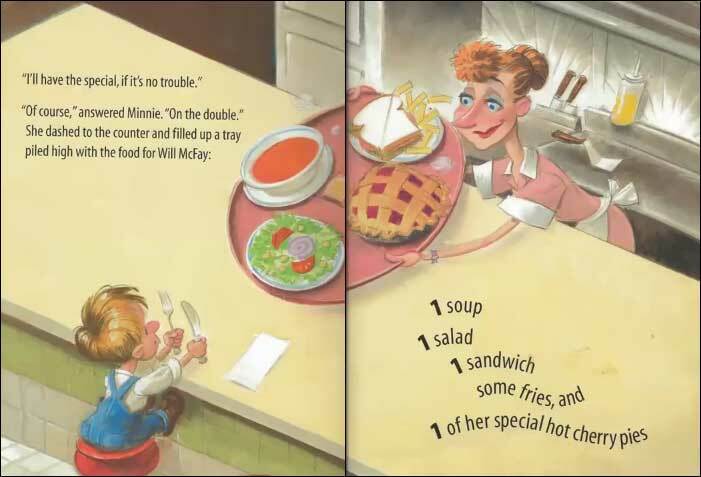 Since Minnie thinks each brother looks about twice the size of the one just younger than him, she gives each brother twice the amount of food. 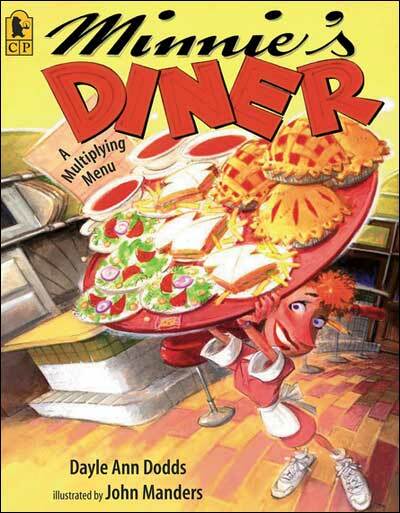 This reaches comic proportions and is an engaging book to read to kids learning multiplication. 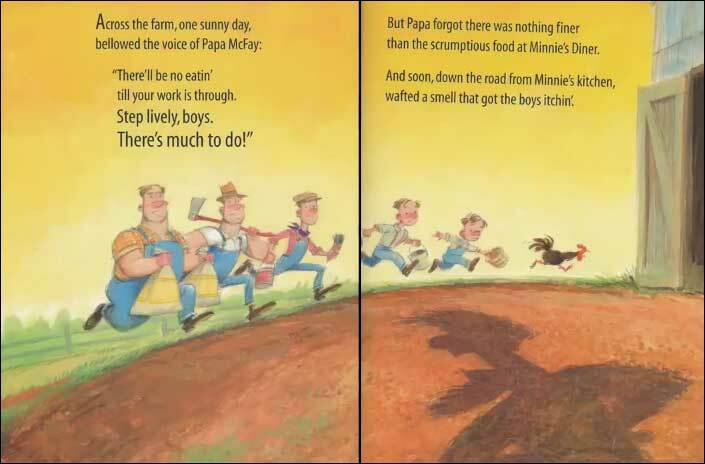 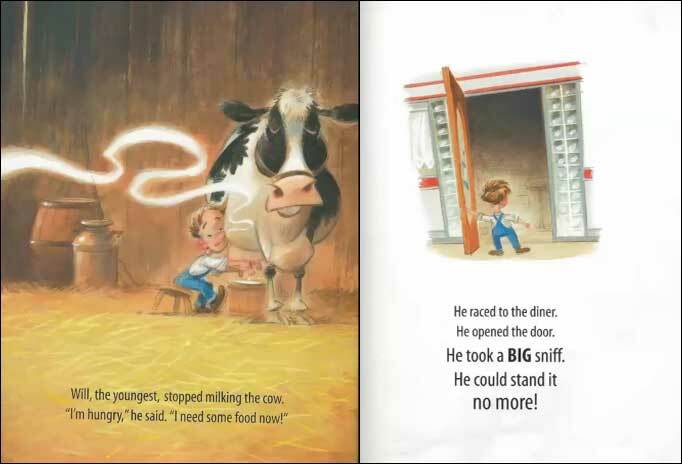 Your kids will love the funny ending, when Papa McFay arrives and ends up being a thin fella who eats the most food of all--32 of everything! 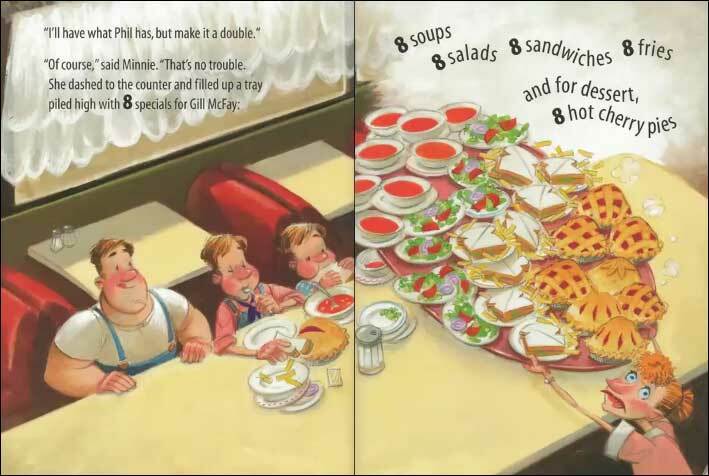 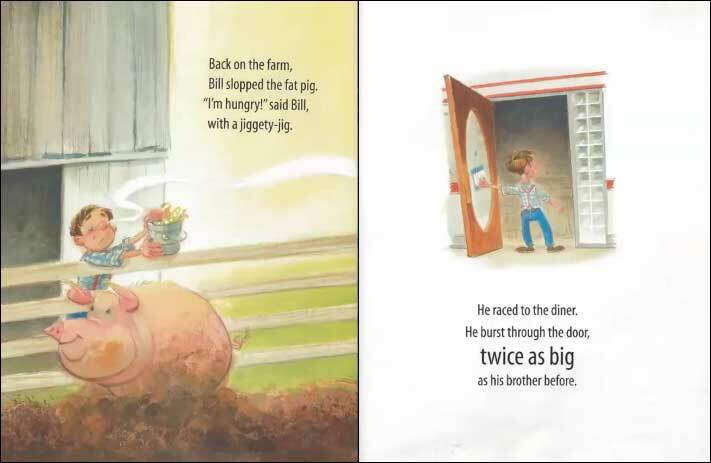 School Library Journal was right when they said "children will appreciate the humor and groan with delight when they recognize the math pattern and anticipate ever-larger amounts of food."